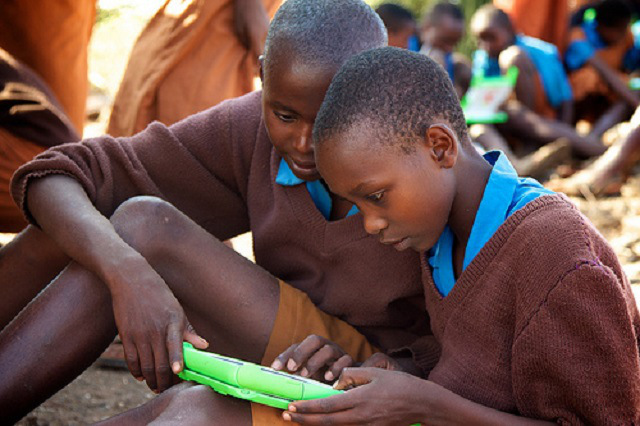 One of the key promises of the Jubilee government was to issue laptops to Standard one students in Kenya. The government established an inter-ministerial committee for the project following a presidential directive to champion the project. The laptop project now referred as digital literacy programme (DLP) is set to supply 294,981 laptops and 23,951 teacher digital devices to schools in July 2016 with the next batch of devices delivered in September and November of this year. During the annual budget read in June 2015, the Government set aside Kshs. 17.58 billion for the project which include devives to schools, development of digital content, capacity building for scholls as well as computer laboratory for class 4 to Class 8 pupils throughout Kenya. The government also launched Digi School, the brand name for the project. In early January we reported that the Kenya ICT Authority is set to open tenders for the laptop project. A total of 10 firms had been shortlisted for the tender among them a constrium of Kenyatta University & BRCK Ltd/Guangzhou Institute of Technology, Symphony Technologies Limited & Multimedia University/Equity Holding Group/Tsinghua TongFang co Ltd, Hewlett – Packard EA Limited, Dedan Kimathi University of Technology & Meru University of Science and Technology/Participatia Technologia, Jomo Kenyatta University of Agriculture and Technology & POSITIVO BGH, Moi University & JP SA Couto, S.A, Lenovo EA Limited,Trans Business Machine, Specicom & Ensure Services, University of Nairobi & Huawei Technologies Ltd. The Kenya ICT Authority has now announced that a consortium of Moi University and JP SA Couto emerged the winner and will supply devices in 26 counties whereas that of Jomo Kenyatta University of Agriculture & Technology and Positivo BGH will supply devices to 21 counties. The winners will now proceed to conduct a pilot in 150 schools around the country. The schools selected for the pilot include an urban, peri-urban and rural school. An additional nine schools are allotted to Special Education Schools. The government had asked interested public institutions with the capacity to create local assembly lines to apply for participation into the project. The companies will receive tax incentives for engaging in the projects.